Certifying Bartenders in Burnaby and Vancouver since 1981. 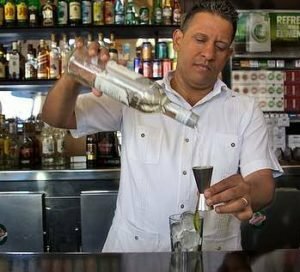 Our top rated bartending course outlines every essential bit of information to get you started as a bartender. Fine Art Bartending School has Canada’s oldest, largest and most respected bartender certification program. We have put thousands of people from around Vancouver for more than 35 years now. Burnaby is full of small restaurants, golf courses and hotels that all need bartenders on a regular basis. We at Fine Art Bartending School know what it takes to build essential bar skills. You gain both knowledge and the confidence to get hired over the 2 week course. We aim to keep our drink recipes current and accurate too, with industry feedback. Hop on the Skytrain and come downtown to learn to bartend in an awesome environment. The Fine Art Bartending program is a very hands-on bartending course. We encourage lots of practice, because we know that lots of practice makes perfect. We have a very practical approach to teaching quality cocktail making. 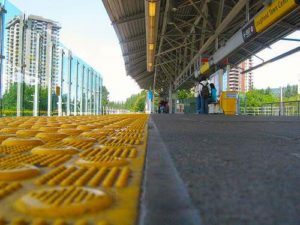 Each class is taught downtown, only 5 minutes from both Waterfront and Granville Skytrain stations. We are also just a stone’s throw from some of Vancouver’s best bartenders. 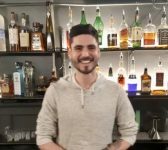 Burnaby has a few great bars around Metrotown, but come downtown and check out what cocktails are being crafted in Gastown. History of liquor is also important in any decent bartender training program, plus a little theory. We need to teach you the basics of beer and wine, then we get into spirits. Add to that the background material and history of each liquor that every bartender needs to understand. Of course we even toss in a few of our own experiences and stories, to then give you an idea of what to expect when you are working behind a bar. In British Columbia, anyone selling or serving alcohol needs to have their ​Serving It Right certification. We don’t spend time specifically going through that material as it is all online now. Every bartender does need to know about responsible service, but we focus class time on you practicing how to be a bartender. We want you making cocktails, improving your customer service, and learning how to make more tips! If you want to be a bartender in Burnaby… you need to know how to squeeze tips out of every guest! We have DAY and EVENING courses starting every two weeks. The weekend classes start roughly every four weeks. Click the big green button for all our upcoming class start dates to find out what works for you! Don’t see dates far enough in the future for your advanced schedule? Send us an email! We have a good idea of when classes are even if you don’t see them noted on the website. Just ask. We have been Greater Vancouver’s best bartender training school for more than 35 years! Over that time we have refined our bartending course to the most thorough and interactive program around. Our reviews tell it all. By the end of the classes, your pouring skills will be perfected and your cocktail knowledge will be impressive. Our course ensures you know where to find that first bartending job. We want you to have the confidence to get out there, get hired, and start making money right away. ⭐⭐⭐⭐⭐It was only a matter of time after getting my certificate at Fine Art Bartending, plus doing the Flair Seminar, that my first job opportunity came up. Now working at a busy bar, the classes have paid themselves off many times over. The flexibility from day to night classes makes it easy to attend for anyone! 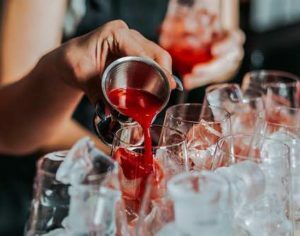 The very thorough curriculum teaches its students a wide range of bar related knowledge, making Fine Art your one stop solution for learning how to bartend. Thanks for all the help! ⭐⭐⭐⭐⭐Fine Art Bartending is a great place to learn how to bartend. My instructor Devin is an exceptional teacher, he knows what he was talking about and showed us how to do a lot of drink making and had a lot of information and experience. I would recommend this to anybody who is looking for a bartending job!! It’s a nice little place In downtown easy commute and a great environment to learn with new people!! I had an awesome time!! ⭐⭐⭐⭐⭐My instructor was exceptionally dedicated to teaching and made sure that each lesson was informative as well as enjoyable. The classes were very practical and extremely fun! I would recommend Fine Art to anyone, whether you are pursuing a career in the industry or just doing it for fun. ⭐⭐⭐⭐⭐Fine Art Bartending School Vancouver taught me skills and techniques to become a bartender that made me more confident in my work. I learned how to make so many different drinks, more than i thought possible in the two week timeframe. I also learned some interesting history on the different liquors, liqueurs and wines etc. In addition, the classes were a lot of fun and the teacher was quite entertaining.